Staying active and fit is essential at any age, especially the elderly and those who are not as nimble as they use to be. All age groups should consider incorporating exercise into their daily routine*. Exercise has many benefits including stabilizing and strengthening your body to support the impact of a fall as well as increasing your core strength which makes it easier to get in and out of bed. It also inspires you to maintain a healthy and active lifestyle and keeps you mentally strong. 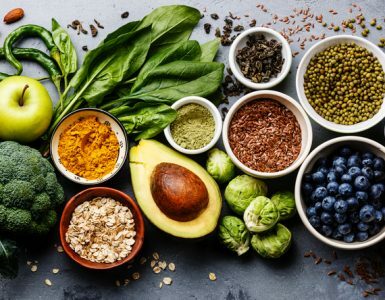 Steve Mongiello, Founder and Physical Therapist at Renew Physical Therapy in the Bay area, CA, provided us with some great tips to start an exercise program. 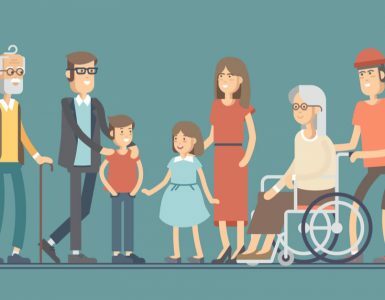 Steve said, ”Safety is the most important part of starting any exercise program.” In his practice Steve considers the current level of activity with every patient before prescribing an exercise routine. For those who do not exercise regularly, it’s important to start with one or two exercises per day, incorporating a new one each week. Listen to your body; you may experience some tightness and perhaps some soreness, which shouldn’t last more than two (2 )days. If the soreness persists longer, you should consult your physical therapist or physician. While lying on your back, tighten your lower abdominal, squeeze your buttocks and then raise your buttocks off the floor/bed, creating a “Bridge” with your body. 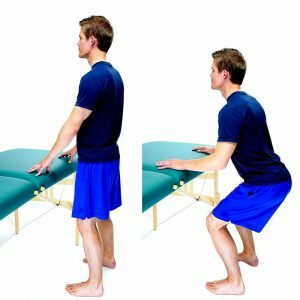 While standing with feet shoulder width apart and in front of a stable support for balance assist if needed, bend your knees and lower your body towards the floor. Your body weight should mostly be directed through the heels of your feet. Return to a standing position. Your knees should bend in line with the second toe and not pass the front of the foot. 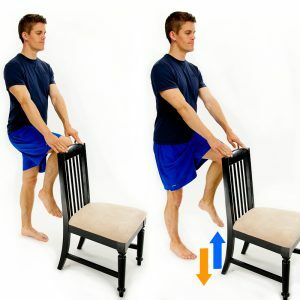 While standing, draw up your knee, set it down and then alternate to your other side. Use your arms if needed for balance and safety. Start by sitting in a chair. 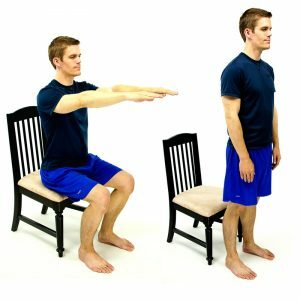 Next, raise up to standing without using your hands for support. 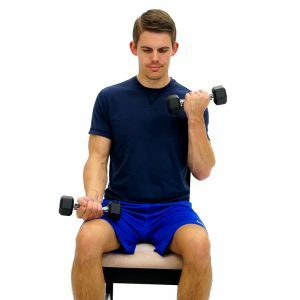 While sitting in a chair and holding free weights on each thigh, lift one arm while bending at the elbow. Perform on one side and then alternate to the other side. Be sure to follow Renew Physical Therapy on Instagram, Facebook and Twitter! * Please seek approval from your doctor before you embark on any exercise program.